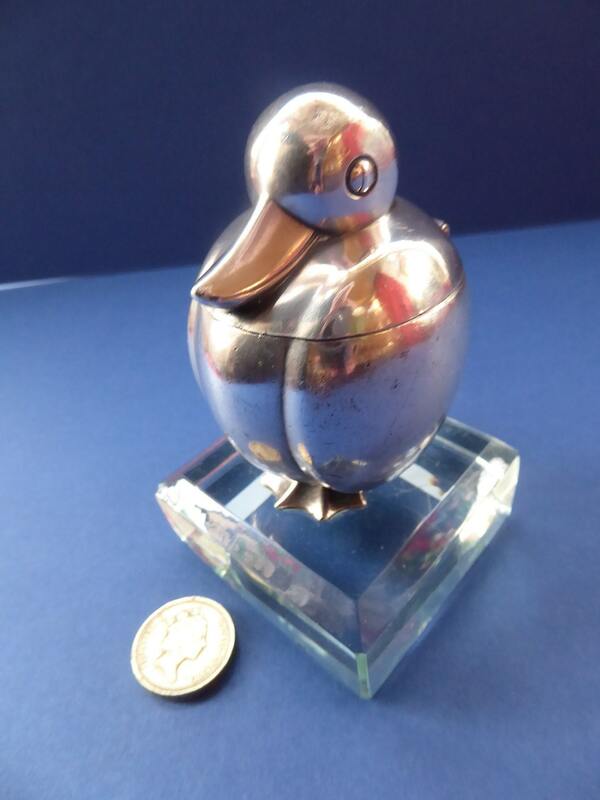 You would be quackers to miss this unusual little Deco inkwell. 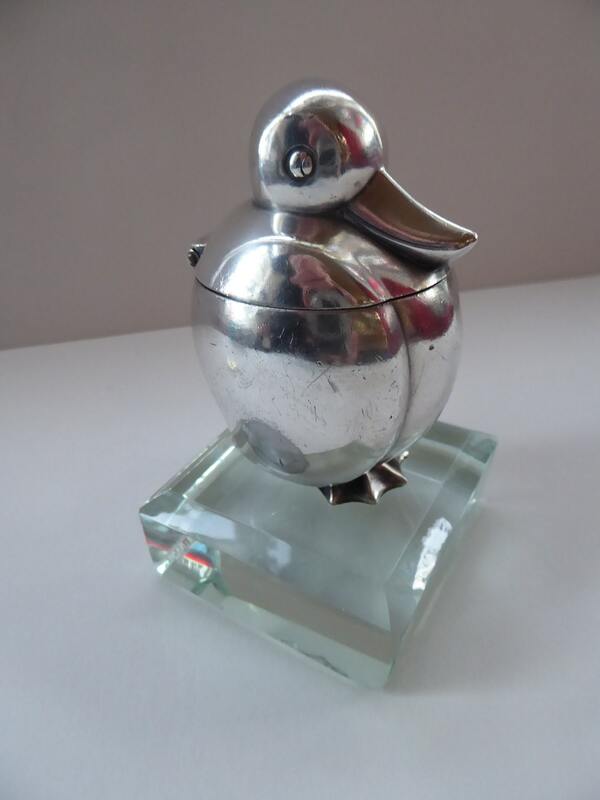 It is certainly a specialist item for an inkwell collector - and I have been unable to find another quite like him. 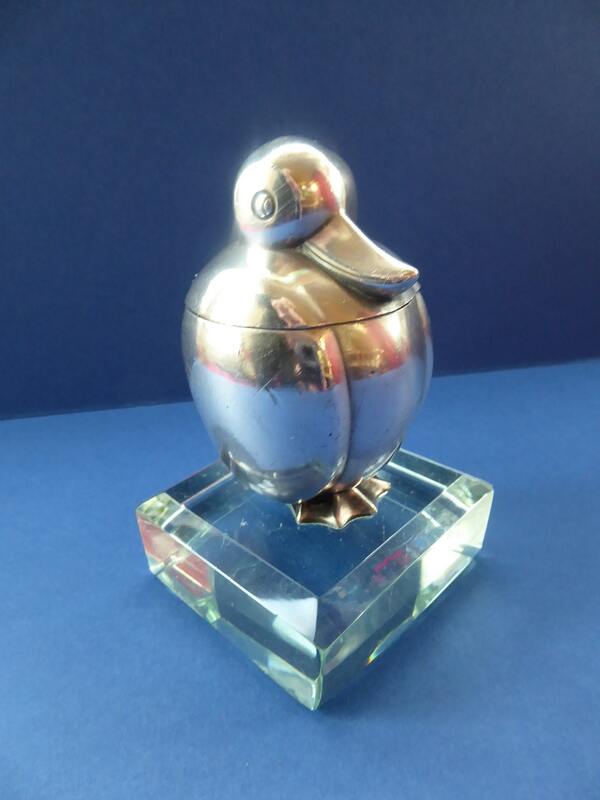 My inkwell is very Deco in design - and takes the form of a little round stylised bird or chick - the little fellow is quite round and plump - I think that he is probably a little duckling. He stands on his original faceted clear glass plinth. There are no chips on the glass base - which is excellent. 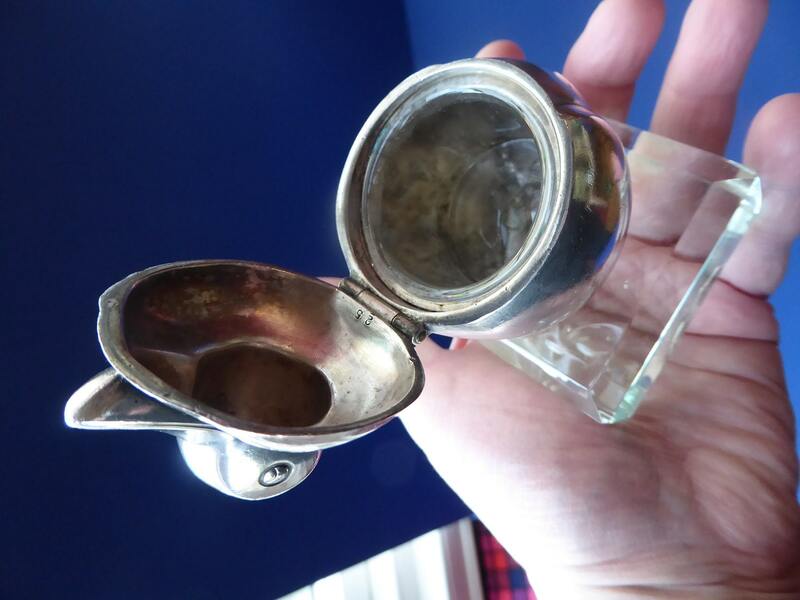 The little inkwell is contained inside the body of Mr Bird - he is hinged at the back and inside is his original glass inkwell - and again with no chips - which is most unusual given how fine it it. The hinge is a good quality one - and very firm. 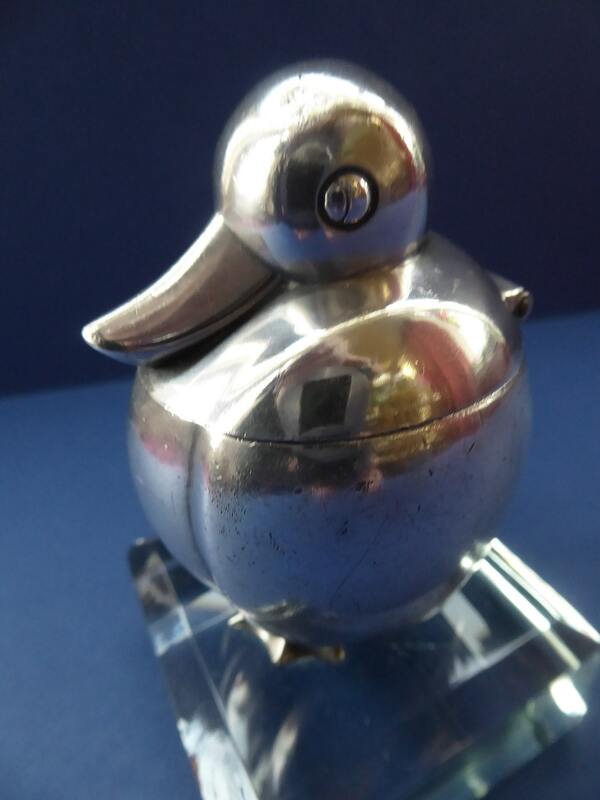 The bird is made of chromed metal - and this is generally in good condition with no disfiguring losses to the chrome, no pitting or scratches. There is a little darker grey mark to the left hand side - where there has been a bit of rubbing to the chrome where the inkwell has been picked up and put down over the decades. But given this is only blemish to this rare survivor - it is quite acceptable. With his mirror finish - he was rather difficult to photograph - and indeed he does look better in "real life" than in my photos. He is 4 inches in height from the base of the plinth to top of the little bird. The glass base measures: just under 2 1/2 inches square. Unpacked he weights 500 grams.